Earthworms are Invertebrates (boneless) tube like animals that can be found nearly all over the world. There are more than 3000 species of worms on our planet. .Their bodies consist of up to 160 segments. The segments carry several pairs of bristles that are used for movement and to resist predator’s attempts to pull them out of their burrows. These bristles can work so effectively that worm bodies can snap into 2 pieces when predators attempt to pull them out of the earth. The worms vary greatly in sizes. The Guinness book of records claimed that the largest worm ever recorded measured 6.7 meters / 22 feet when naturally extended and had a diameter of 2 cm / 0.8 inches and was apparently found in South Africa. The smallest worms on the other hand can only be seen under a microscope. 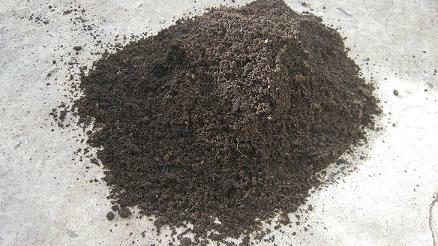 the different layers of soil, swallow large amounts of dirt and decaying matter. Their tunnels aerate the soil, allow roots of plants to grow to deeper mineral richer parts of soil and make it easier for water to penetrate the ground and feed the plants. As they digest their food they enrich it with minerals and nutrients. Their poop is called worm castings and is infinitely richer in nitrogen, phosphor, potassium, calcium and magnesium than the richest of top soil. Follow this link to find out more about worm castings! Although there are so many different kinds of worms active around the world there are actually only a handful of different species that can be used successfully to work as domesticated compost worms. Eudrilius Eugeniae, Perionyx Excavatus, Eisenia Hortensis known as European Night crawlers and Eisenia Fetida know as Red worms or Red wigglers are the ones that are used and marketed by most Worm composting businesses. ones ie. “The European Night crawlers and the Red wigglers” that clearly dominate the world of worm composting! Studies in the USA have shown that in some parts of the country worms can produce up to 875 kg of worm castings a day on an area of 10000 m2. For more worm compost related information! Type your question or keywords (for example “ compost worm”) into the search box below. How to catch carp with worms. How do worms improve my garden? For Questions and suggestions contact us through the form below! We need vermiworms in the company here in UAE. 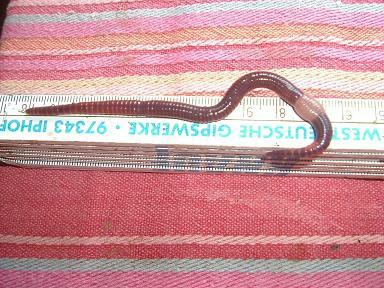 EUROPIAN NIGHT CRAWLER, AFRICAN NIGHT CRAWLER,EASENIA FETIDA, RED WIGGLERS. Please..
What's the best method combination to house worms & harvest castings?